Let me preface this review by saying that I prior to watching Jurassic World I had never seen a Jurassic Park movie before. I had only read Michael Crichton’s novel Jurassic Park (which I absolutely LOVED) so I simultaneously sort of knew and didn’t know what I was getting myself into. I expected to like it, but I stand corrected. The acting was phenomenal all around- seriously, I think that everyone did an outstanding job! But let’s talk about the two main stars, shall we? Chris Pratt was fantastic, as always. At first I was a little wary about his role in this because he usually plays the funny, goofy guys, not the serious ones. But I was pleasantly surprised: he did an awesome job! All of his action scenes are great, and all of his more emotional scenes are great- really, the entire thing was great! 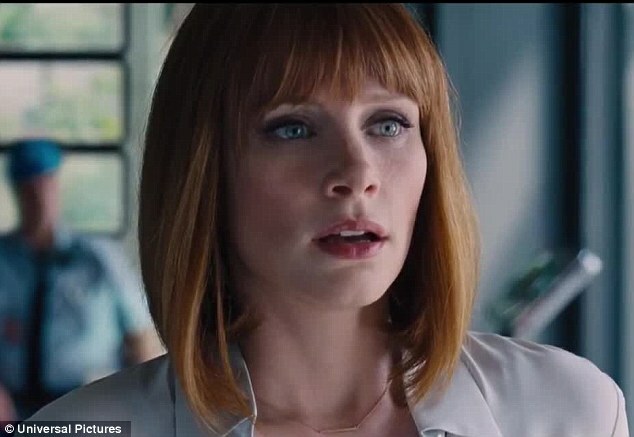 As much as I adore Chris Pratt, however, I was most impressed by the performance of Bryce Dallas Howard, who played the role of Claire. Before seeing this movie I had never heard of Howard before, but I definitely will look out for more of her work from now on! Her acting was excellent, especially during emotional scenes or when a dinosaur was close. The look of raw terror on her face was amazing! Not to mention that she did it all in fabulous heels- score one for the girls! THE SUSPENSE. My goodness, this movie was SO SUSPENSEFUL. I could not take my eyes away from the screen for one instant because who knows what I might miss? Someone dying? A dinosaur escaping? Chris Pratt being wonderful? If I had to describe this movie in one word, I would say: INTENSE. There is nonstop action, numerous plot twists that I never saw coming, and enough heart-pounding scenes to keep the little ones up at night for at least a solid week. I love the way the ending incorporates all these little details that you had forgotten, and how everything builds to this one huge, epic scene. And the ending- ugh, it’s perfect! The graphics in this movie are remarkable. Honestly, the way they designed Jurassic World reminds me of Disney World so much! I love the comparison because it makes this all the more real. Not real in the sense that I think it will happen next year, but in the idea that we have the ability to build the infrastructure of such an attraction. Also, the dinosaurs looked so realistic! I don’t know the specifics of how they filmed this movie, but you would think that the actors were directly acting with the dinosaurs. There’s no awkwardness or anything! Like I explained in the beginning of this post, I have yet to see the original Jurassic Park movies. With that being said, I was really afraid that I wouldn’t understand this movie because I hadn’t seen the previous ones. Although this movie does reference the original ones, it isn’t at all necessary to have seen them prior to watching this film. It can stand alone just as well as it can join the group, which is not something you see all the time in today’s money-making madness that is the movie industry. 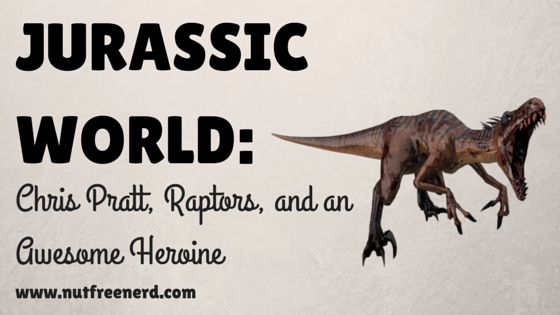 As you can probably tell by this gushing review, I LOVED the movie Jurassic World! If you have any interest at all in the original movies, dinosaurs, science fiction, or action-packed adventures, then I highly recommend watching this ASAP! Have you seen this movie? What did you think of it? Let me know in the comments section below! < Previous The Big Read by BBC: How Many Have You Read? I absolutely loved Jurassic World!! 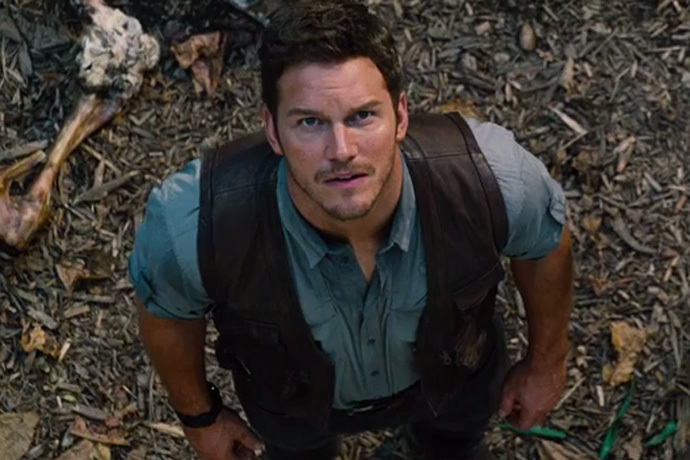 Probably because I’m secretly in love with Chris Pratt…. but I totally agree – Bryce was such a surprise!! Also, I have to say that I love your blog. 🙂 I’ve only just stumbled upon it but I’ve been scouring the archives and everything is so interesting!! Looking forward to reading more posts.